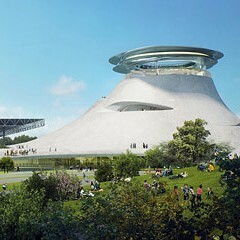 Lucas Museum of Narrative Art via AP Lucas Museum backers are trying to win friends and influence the public. 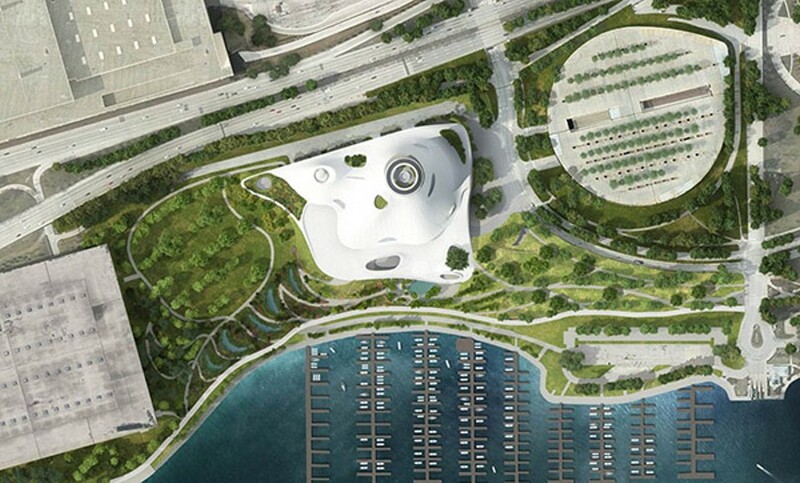 Next week, the Chicago Park District board is expected to vote thumbs up or down on a deal to die for: a lease that would give the Lucas Museum of Narrative Arts a prime hunk of lakefront land for 99 years with two renewable options. That's 297 years at a total cost of just $30. 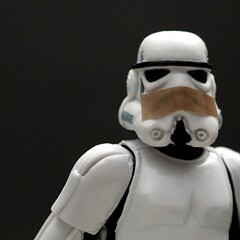 But not to worry. It might look like the stewards of your parkland are leaping at the chance to give away the farm, handing your treasure over to the first rich boy who comes along with a shiny collection of marbles he wants to roll there, without even consulting you. They're not. Well, not exactly. At least they're going through the motions. In a flowering of democratic spirit, the Park District held two meetings last week to solicit public opinion about the Lucas Museum plan. Officials were no doubt disappointed to find that attendance was relatively sparse. On the other hand, they must have been pleased to see so many of the city's busy movers and shakers among the folks who made it. Out of 19 "public comment" speakers I counted, ten were officials from cultural, educational, and civic institutions, including the current and former presidents of the Field Museum and the president of Museums in the Park. 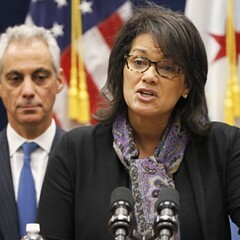 Two had served on the mayor's site- selection task force for the Lucas Museum. They were all aglow with support. You might have thought for a fleeting moment that the meeting was stacked. 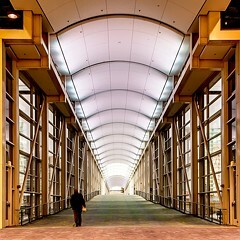 When it was time for public comment, the big screen at the front of the room turned into a mesmerizing giant stopwatch. Each speaker got a two-minute window; five of them used it to protest. But I'm getting ahead of myself. Before we heard from this totally random sample of the citizenry, there was a presentation about the museum by some of the people working on it. They included Don Bacigalupi, who became the museum's founding president earlier this year. (Lucas stole him away from Walmart heir Alice Walton's Crystal Bridges Museum of American Art, where he'd had the same job.) 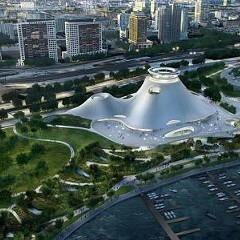 He compared the founding of the Lucas Museum to that of the Field, the Shedd, and the Adler. Bacigalupi is a personable guy, and he just got here, so we should probably cut him a little slack. Maybe we shouldn't expect him to know that we've thought about that comparison, and noticed some significant differences—such as that the Field, Shedd and Adler aren't museums focused on their founders' careers. The Lucas Museum will consist of an art museum, a "cinematheque," and an education center (along with a "fine-dining" restaurant). Bacigalupi noted that the building's design "derives from this unique combination of museum functions." The building's design, as you're likely aware, consists of a huge white stone splat with two volcanolike humps at its center, one much larger than the other and topped by a halo. It was left to the next speaker to explain why the museum's three functions would lead to this particular shape. That was architect Michael Siegel of VOA Associates, the local firm on the job. He said that the designing architect, Beijing-based Ma Yansong, wanted to respond to the "horizontality of the plains" and the "verticality of the city," and that the humps, which are visibly off-kilter, have been "molded toward the west, as if the wind off the lake had pushed them there." 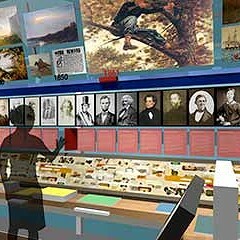 The museum, which will be dedicated to storytelling, "unfolds like a story," Siegel said. Ergo: splat.